"I don't feel like he was trying to sell us our house, he was helping find our home." 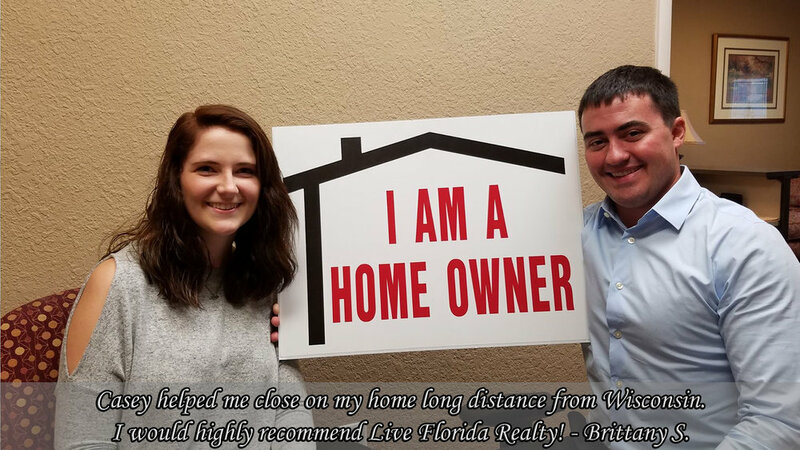 My wife and I recently made a home purchase in Lakeland with Casey and his team, having just moved here from Indiana. We could not be more pleased with the results of our time spent through the process with Casey. Always a willing, honest, and responsive effort before, during, and following the catastrophe of Irma. Casey made difficult circumstances much more tolerable with patience and constant communication. He went out of his way to professionally work with those we brought into the process and those already in it, to meet our needs. 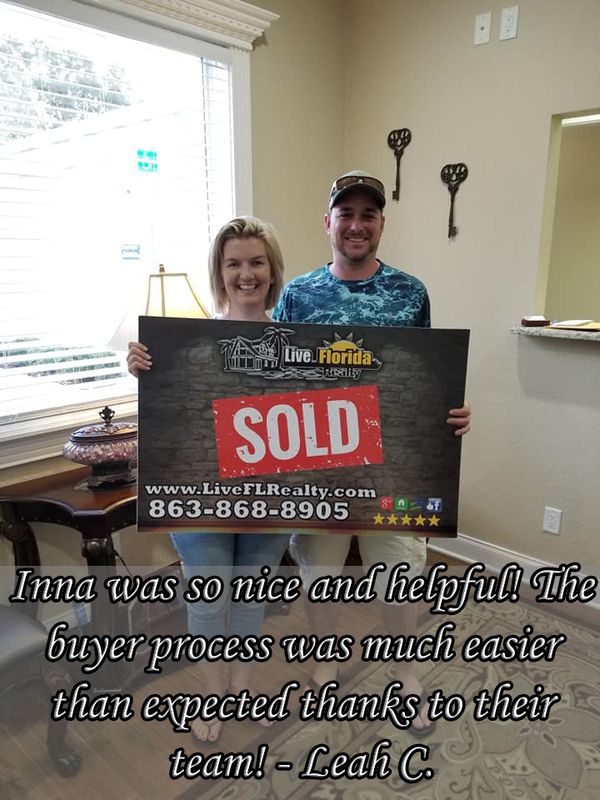 A large "thank you and job well-done" to you and your team at Live Florida Realty Group. Rafael was so patient with me, in this wild journey of buying my first home. I had no idea all of the things involved with buying a home. He was AWESOME on motivating me, that i would find a wonderful home for my family and I. I'm forever grateful for all his hard work, and dedication he puts in to his work that made me feel like I was in good hands, and "I Was" we found a wonderful home all thanks to Rafael. Thanks Rafael, you will always be considered a friend of the Rosario Family. After a difficult year of dealing with my dads health issues and then his death, I had to figure out how to sell his home he and mom had lived in for over 25 years. Jason made everything easy for me and was there every step of the way. From the first visit with presenting a wonderful packet, to taking professional photos of the house, he sold it in 9 days! It was a pleasure working with Jason Troyan. He is patient, honest, hard-working, reliable, very professional & always available. I highly recommend his services. His heart, compassion and reliability were very much appreciated. Janina was awesome to work with. She helped my mom and I sell her home and purchase a new one for her. She listed the home fast and closed the deal with the first person to see it. She was supportive and helpful during the whole process. She really cared about what was best for my mom. Her bilingual skills really came in handy when we were dealing with a seller that didn't speak much english. When we couldn't come to a realistic deal with that seller she worked hard to help us find a new place. Once we settled on a new home she made sure that our interests were well taken care. I would definitely recommend Janina if you are buying or selling a home.